While starting early is ideal, it does not matter if your child is a newborn, eight years old, or even a teenager, it is never too late to put a plan in place. Believe it or not, these averages are understated. They exclude items such as personal costs, travel expenses, text books, and other supplies. Based on personal experience, if your child goes to a reasonably well-known school, the figure above for private four-year colleges is low. In addition, costs are likely to keep rising. From 2007-08 through 2017-18, published in-state tuition and fees for public four-year institutions increased by an average of 3.2% beyond inflation. This compares to average annual increases of 4.0% and 4.4% in the prior two decades. This rate is slightly higher than for private institutions. Between 2006-07 and 2016-17, tuition and fees increased by only 2.4% at private institutions (3.6% in 2017-18). Parents generally want their children to have the option to go to the school of their choice. However, we must also be realistic about what we can and cannot afford. Being forced to leave school for financial reasons, as I did, is hard. Saving money for college can help make the cost a little easier to bear. In addition, students can receive need- and/or merit-based financial aid. They can also qualify for several different loan programs. Working over the summer as well as during the school year are other options. The question is: What is the best way to save for a college education? There are different types of accounts we can use. Which one(s) we choose can make a difference, especially when filing for financial aid. A 529 plan is a tax-advantaged savings plan designed to encourage saving for future education costs. Legally known as “qualified tuition plans,” 529 plans are sponsored by states, state agencies, or educational institutions and are authorized by Section 529 of the Internal Revenue Code. All 50 states, as well as the District of Columbia, sponsor at least one type of 529 plan. In addition, a group of private colleges and universities as well as state institutions sponsor prepaid tuition plans. If the money is used to pay for qualified education expenses for those attending school at least half time, withdrawals are tax-free. Funds can be used at virtually any accredited college or university in the U.S. as well as some foreign schools. In addition, 529 plans can also be used for vocational and trade schools. You can see a list of eligible schools on the U.S. Federal Student Aid Code List. In short, a 529 plan is not just a college savings vehicle. It can be considered an education savings vehicle. Although all education savings plans are sponsored by state governments, a few have residency requirements for the saver and/or beneficiary. Investments in education savings plans are not guaranteed by state governments. Similarly, no federal guarantees are provided for investments in mutual funds and ETFs. Investments in some principal-protected bank products may be insured by the FDIC. Accordingly, as with most investments, investments in education savings plans may not make any money. In fact, you could lose some or all money invested. In addition to expenses such as tuition, books, and room and board, as of 2018, the term “qualified higher education expense” includes up to $10,000 in annual expenses for tuition associated with enrollment or attendance at an elementary school, or secondary public, private, or religious school. You must, however, check with the school’s state 529 plan to see if it permits this option. In general, you can currently contribute up to $15,000 annually ($30,000 if married) without incurring gift tax. You can contribute a lump sum of $75,000 to one or more 529 college savings plans in a single year ($150,000 if married) without incurring gift tax. The IRS views such amount as an annual $15,000 ($30,000 if married) gift over five years. Contributing more money on behalf of the same child during those five years triggers gift tax. States may also cap how much you can accumulate in a 529 account. Limits vary by state, ranging from $235,000 to $520,000. This amount represents what the state believes to be the full cost of attending an expensive undergraduate and graduate school, including textbooks and room and board. If your plan’s balance is close to the limit you need not worry about future earnings in the account pushing it over. The funds can remain in the account without penalty, but the family will not be able to make future contributions until, or unless, a market drop causes it to fall below the state cap. educational purposes – even if, for example, it is for education related to a hobby. If you expect your child will attend a public school in your state, an alternate 529 plan that allows you to prepay tomorrow’s college tuition at today’s prices may make sense. A 529 prepaid tuition plan provides certain guarantees for tuition and certain expenses at any in-state public school. Some prepaid plans cover tuition, fees, and room and board; others only cover tuition and fees. If your child decides to attend an out-of-state private school, state prepaid tuition plans can be transferred toward these costlier options; however, they usually only pay the average in-state tuition cost. 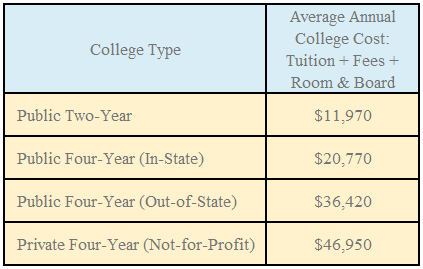 The Private College 529 Plan is not an investment. It allows you to pay for tomorrow’s tuition at today’s prices in the form of Tuition Certificates. They are like conventional 529 accounts in that you name a beneficiary when you open the account. However, you do not select a college or university until your student enrolls. Increases in the account’s value as well as distributions are federal tax free. The Private College 529 is the only 529 plan that is not run by a state. Instead, the participating colleges and universities own the Plan. They also guarantee the tuition you prepay. In general, prepaid plans offer certainty of college costs with a related trade-off. They limit your child’s flexibility when choosing which school to attend. Some states offer transferability of benefits; some offer a potential for partial refunds if the beneficiary (or an eligible sibling) does not attend college. One of the most important features of a 529 plan is its ownership. The account belongs to you. Your child may be the beneficiary, but you remain in charge of the money, which is managed by a fund manager assigned by the state. The importance of account ownership will be discussed in more detail in our next blog, which will discuss financial aid. In general, college savings plans allow you to choose from a variety of predetermined asset allocation portfolios that range from conservative to aggressive, based on historic volatility and potential return. What if your child receives a scholarship? If your child receives a scholarship, and you decide to withdraw funds from a 529 account rather than change beneficiaries, you will owe ordinary income taxes on any earnings generated by your contributions. If the withdrawal exceeds the amount of the scholarship, you will have to pay an additional 10% penalty on earnings for the amount greater than the scholarship. If you withdraw less, the 10% penalty does not apply. Such non-qualified withdrawals may also be subject to recapture of state tax credits or deductions you received when making contributions. Investing in a 529 plan may provide special tax benefits. As long as withdrawals from a 529 account are used to cover higher education expenses or tuition for elementary or secondary schools, earnings in the 529 account are not subject to federal income tax and, in many cases state income tax. These benefits depend on the state and the 529 plan. For example, if you live in Northern Baltimore County, which is where Apprise Wealth Management is located, you can deduct up to $2,500 annually per child on your state tax return for contributions to the Maryland 529 plan. The state and federal tax laws that affect 529 plans could change. You should make sure you understand the implications of investing in a 529 plan and consider whether to consult a tax adviser. If withdrawals from a 529 plan account are used for nonqualified purposes, then federal income tax, a 10% federal tax penalty, and state income tax may be due on the earnings generated by such accounts. Generation-skipping tax may also apply to a beneficiary at least two generations below the contributor. A Coverdell Savings Account (ESA) is another special account designed to help pay for your child’s education. You set up the ESA and choose how to invest the money, typically on behalf of the child beneficiary. Like a 529 account, amounts invested in an ESA grow tax free. Since you don’t have to pay taxes on investment income or capital gains, you can benefit from tax-free growth. If the money is used to pay for qualified education expenses, withdrawals are also free from federal tax. Tax-free withdrawals also apply to amounts paid for qualified elementary and secondary education expenses – regardless of if the school is public or private, secular, or religious. The annual maximum contribution to an ESA is $2,000 per beneficiary – less for higher earners. If a parent contributes all $2,000, grandparents and other individuals are not allowed to make additional contributions to the account during the year. On the other hand, your child can be the beneficiary of both a 529 plan and an ESA; you can contribute money to both accounts in the same year. If your child does not attend college, or there is money left in the ESA account after he or she graduates, the remaining savings can still be used. The account beneficiary can be changed to another member of the original beneficiary’s family. The IRS uses a broad definition of the term “family member” – it can include everyone from siblings and parents to step-siblings and in-laws. Using money withdrawn from an ESA for non-qualified expenses, means any untaxed earnings are taxable to the beneficiary. A 10% federal tax penalty is also payable. You have more flexibility in terms of how you invest money in an ESA as you are not limited by the options presented in the state-sponsored 529 plan. However, unlike 529 plans, an income eligibility limit and a relatively low limit on contributions apply. The contribution limit applies at the beneficiary level as well, making it difficult to contribute considerable sums to an ESA. If you desire to save money for college expenses that are not covered by an ESA or 529 plan, a custodial account is another option. This approach allows you to take advantage of the gift tax exclusion and control the way the money is invested and spent while your child is a minor. On the other hand, once your child reaches a certain age (generally 18, 21, or 25 years depending on where you live) the money becomes his or hers. In addition, investment income in custodial accounts may trigger the kiddie tax (meaning it can be taxed at a higher rate). Parents cannot simply transfer assets to their minor children, but instead must transfer the assets to a trust. The most common trust for a minor is known as a custodial account. A custodial account is typically designated either an UGMA (Uniform Gift to Minors Act) or an UTMA (Uniform Transfer to Minors Act) account, depending on where you live. When money is deposited into a custodial account, a gift is given or funds are transferred to the recipient. You can open a custodial account at virtually any brokerage or financial institution. The minimum to open such an account usually ranges from $500 to $2,000. A significant drawback associated with contributing money to a custodial account is it only gives you broad control over how the money is invested and spent while your child is a minor. The gift tax exclusion means the money must be given as an irrevocable, “no strings attached” gift. In other words, neither the donor nor the custodian can place any restrictions on the use of the money when the minor reaches the age of majority. At that time, the child can use the money for any purpose whatsoever without requiring the custodian’s permission, so there is no requirement that the child use the money for his or her education. In addition, since the UGMA/UTMA accounts are in the name of a single child, the funds are not transferrable to another beneficiary. When putting money in a custodial account, keep this in mind. You and your child might both agree that the money should be used for college. However, once your child reaches the age of majority, she has control over the account. She can use the money for anything she wants. Since she thinks you will still pay for her education, she could decide to buy an expensive new car. Now her college funds are at least partially depleted. She could also decide she does not want to go to college. You no longer can transfer the money to another family member. You should also keep in mind that many states may allow you to specify an earlier or later date to turn over the account’s assets to your child, as long as that date does not interfere with your state’s age of majority rules. Because your child owns the assets in an UGMA/UTMA account, they are weighed more heavily than parental assets when determining financial aid. As a result, according to Forbes, custodial accounts only make sense if you are certain your child will not need financial aid. · If the Giftor serves as custodian and passes away before the account matures, the assets in the account may be included among the custodian’s assets for estate tax purposes. · If the child dies before receiving the assets in the account, the accounts are dealt with according to the laws of the state, which may not be in your favor. The income from a custodial account must be reported on the child’s tax return and is taxed at the child’s rate. As a result, amounts in custodial accounts are also subject to the kiddie tax rules. These rules were changed by the Tax Cuts and Jobs Act of 2018. It should be noted that the rules are currently supposed to revert to the previous tax regime after 2025. In general, most parents of children with modest unearned income (for example, interest, dividends, capital gains) will pay the same or less taxes under the current kiddie tax rules, unless they do not have any taxable income. But, parents of children with significant unearned income from UGMAs/UTMAs may pay higher taxes because the parents’ tax rate is no longer used under the new law. *These rules applied to any child under 19 as well as full-time college students under the age of 24, unless the student’s earned income was greater than one-half of their support. Earned income from a job or self-employment is not subject to the kiddie tax. As noted, after 2025, the kiddie tax rules revert to those in place prior to 2018. 529 plans and ESAs give you much more control over how funds in an account are used, including the option to change beneficiaries if the need arises. The only limitation is that the funds must be used for education expenses in order to benefit from their preferential tax treatment. On the other hand, there may be certain circumstance where depositing money in a custodial account makes sense. Money in a custodial account can supplement what is saved in a 529 or ESA for your child’s education. For example, it could be used for college expenses other than qualified expenses such as travel, sorority dues, or car repairs. However, it might be easier (and cheaper) to keep such amounts in an account in your name and disburse them to your child at the appropriate time. A tax-advantaged Roth IRA can be used as a combined retirement account and educational savings vehicle. This approach offers numerous benefits and some flexibility. Because your after-tax contributions grow tax-free, your account’s growth potential is maximized. You also can invest in a wider variety of assets than you would in a 529 account. Withdrawals from Roth accounts for qualified education expenses are allowed penalty free, but they will generally be included as income in determining financial aid eligibility. A meaningful advantage of using a Roth IRA as part of your college savings approach is that if your child is fortunate enough to be awarded meaningful scholarship money, you can keep the amounts in your Roth account for your retirement. On the other hand, using your account to pay for qualified educational expenses can have a material adverse impact on your ability to stay on track for retirement. The amount you can contribute to a Roth account on an annual basis is also limited. Income limitations may apply as well. In surveying the options, ownership is a primary consideration. If you select an UTMA/UGMA account, when your child reaches the age of majority, the account is theirs. They can use it for anything they want (e.g., an expensive vacation, a new car, etc.) Plus, it counts more for financial aid purposes. There are other ways to save for a college education, but these are the most common ones. While an ESA account has some advantages, the contribution and income limits make it harder to use. A 529 plan is likely the best account type for college savings. If you would like to talk to us about your options for college savings, please fill out our contact form, and we will be in touch. In our next post, we will talk more about financial aid.